If it’s important to you having your day documented from the time when you are both getting ready then here are some things to consider. Are you getting ready in separate locations to each other where there is some distance involved, and therefore some time spent travelling to get from one place to another? Do you want your photographer to capture both of you getting ready in real time, and capture all the fun photos that go with it? If the answer to both of these questions is yes then a second photographer is probably a worthy choice. If you are both getting ready at the same location then one photographer would definitely get the job done. However, how do you choose who your photographer is to capture? Is it the bride, as ‘she’s more important’? In the situation where there are two brides, or two grooms, who takes precedence then? And why should a groom just be left as second billing? It’s as much about him as it is about the bride! Or can you fit your photographer into your timeline to capture the both of you? Choosing one photographer to achieve this is definitely doable, but having two means they’ll be able to coordinate between themselves where and when they need to be so the both of you will receive many more shots taken at a much more relaxed pace! Throughout your ceremony there are so many different things happening at once that’s it’s impossible for just one photographer to capture it all. Like the old adage states; you can’t be in two places at once! Take for instance when the bride is walking down the aisle. One photographer can shoot over their shoulder and capture the grooms reaction but who’s up front capturing the brides expression? Solution, a second photographer and a second vantage point! And you’d expect your photographer to capture your first kiss right? It’s a special moment and one that’s over in a flash. But all it takes is the celebrant or priest to take a step in the wrong direction and their view is completely obscured. No problem, two photographers means two angles… and that photo is in the bag! When using only one photographer there will be some compromises you will both have to make in terms of what angles you’d like captured during the ceremony, and this is something any professional photographer should be asking you from the start. you’re guaranteed many more moments will be captured than only one set of eyes could ever achieve, plus you’ll receive twice as many shots! by choosing 2 photographers you are literally insuring those once-off moments are captured. Any professional photographer should pride themselves on doing their due diligence, but even with a detailed schedule to go by, things don’t always go according to plan. For example, it doesn’t matter if you’re an amateur or professional, equipment failure doesn’t discriminate. Though this is something that hasn’t happened to us (thank God!) it’s definitely something we have to prepare for. Having the second photographer allows the show to go on. when we work together, depending on the venue, one of us will shoot long behind your guests, while the other close and wide, allowing us to be less distracting and less conspicuous. The ceremony is over, you are now husband and wife, everyone has come up to you to congratulate you and now it’s time to capture those obligatory family photos. One photographer will find their mark and remain here taking the family photos while the other will help to arrange them in a way that looks balanced and pleasing to the eye. 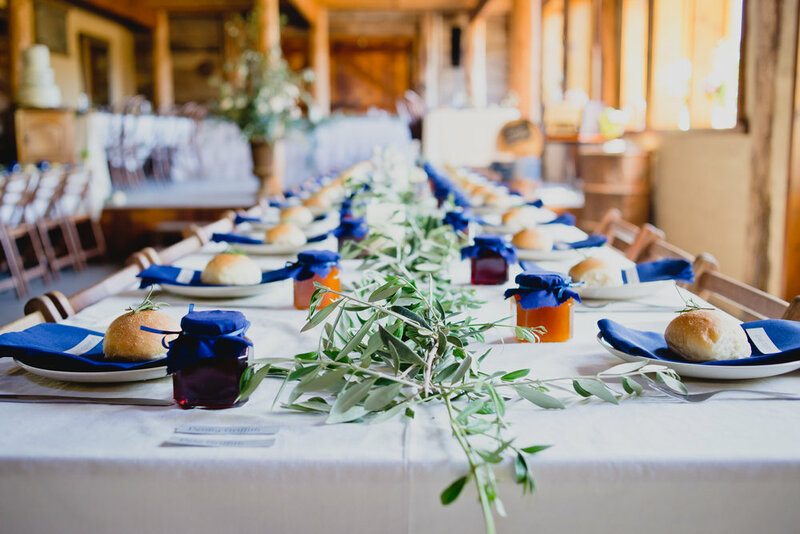 This helps to speed up the entire process so that we can get your family and friends off to feast on canapés and you off to your portraiture shoot much sooner. This exercise especially works well if you have a big family and a long list of arrangements. We generally ask our couples to nominate someone (usually the MC) who is familiar with the families to do the running around to find Uncle Bill and your cousin Jess so we can quickly get through your list. But if you haven’t nominated anyone to do this then the second photographer will take on these duties while the other stays on their mark taking the photos. If there’s not a big family list to get through, then one photographer can head to your reception venue before the masses do to capture all those little details and table arrangements you worked so hard to put together, while the other photographer remains to capture those treasured family photos. This exercise works particularly well if you are celebrating your day in the one location. Your portraits is where a photographer gets to be less “documenty” and more creative. But do you want two photographers pointing cameras at you? Would that make you feel uncomfortable? If the answer to this is yes then we totally understand. And a single professional photographer is certainly capable of getting the job done. But how could a second photographer be advantageous in this scenario? Well we’re glad you asked! If you’re comfortable having 2 photographers, they would generally shoot using two different lenses (one wide, one zoom) at two different vantage points. While one would guide you where to stand/sit/lie, the other would capture a more candid feel. And you get twice as many shots! Two photographers could split up the bridal party so one does the “guys” while the other does the “gals”, before they get down to concentrating on the newly married couple. Maybe you employed your photographers to utilise a drone (such as ours who we affectionately named DJ!). While one photographer would pilot the drone above you and happily snap away, the other would continue the portrait session on the ground. Or maybe you utilised both for your family photos. One could continue with your portrait shoot while the other heads to reception to capture those details and candid pics of your guests mingling. During the speeches there are so many photo opportunities to capture. 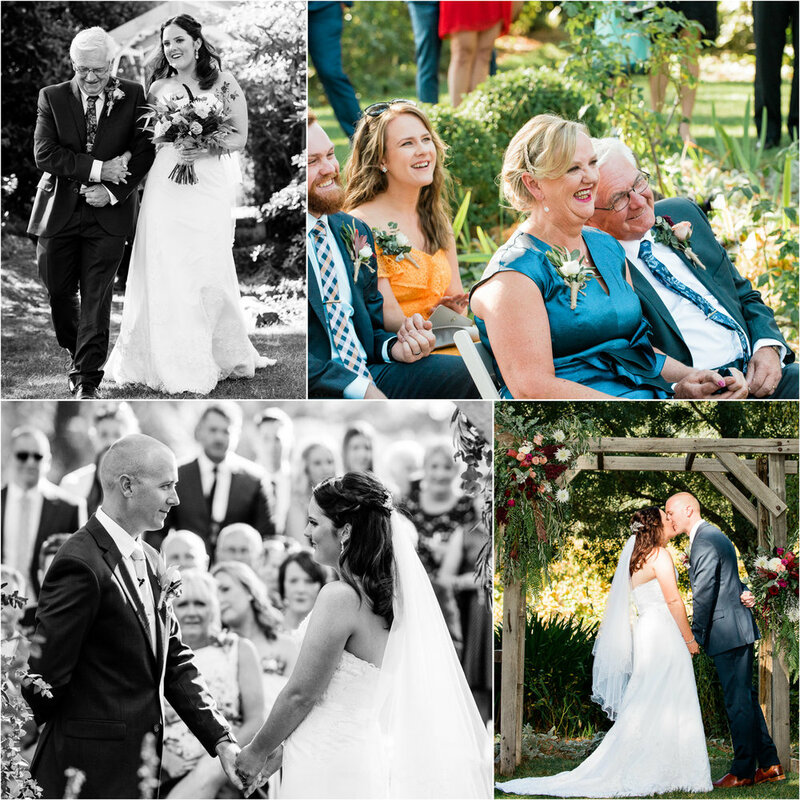 All the emotion and tears from heartfelt words of fatherly advice to the laughs and cringing that your best man has up his sleeve lend themselves to really great moments. Rather than having just one photographer wandering around in the middle of the room distracting your guests and blocking their views, two photographers can divide the room up and be much more discrete enabling them to capture more of the real emotion. As photographers, we’re always looking for opportunities where you are interacting with your guests, and the like with family and friends. You might be chatting with your mum and your grandmother which makes for some gorgeous photos across the generations which you’ll treasure forever. But what you might also like captured is your dad and your uncle getting their giant Jenga on out the back! The thing is, you’d never know that happened until you get your photos back, and that’s where the value of that second photographer comes in to play. In the last 5 years we have captured a lot of weddings both as a solo or duo outfit. And each time we get the job done. For us, capturing a wedding as a duo is undoubtedly a lot more fun for the both of us as we can bounce ideas off each other, and that vibe then feeds down into our photography. Mind you we think we’re pretty good at doing this when flying solo too! We’re a husband and wife photography duo, and each a ‘main photographer’. Neither of us takes a backseat, each of us can take the lead of capturing your wedding and each of us brings our own wealth of experience with us. Yes it will be more expensive to have the both of us, and like they say, “you get what you pay for”. However our packages are structured in a way that it is actually better value for you to have the both of us rather than just one for the equivalent hours or package! We also come with an added reassurance that we’ll shoot in the same style as each other (as opposed to a second ‘hired gun’). We consider this an added bonus to you when considering what would happen if (God forbid!) one of us became ill and couldn’t make it to your wedding; with us there’s always one of us who will produce the same style of photos you originally fell in love with when you booked us no matter what happens! Hopefully now you’re realising how having two photographers provides you with so many more options, but we also offer you the extra flexibility to chop and change our packages to suit your vision and/or budget. For example, use both of us for a full 8 hrs or only use the second photographer for 4 hrs while the other stays on. Your choice. So, are two photographers better than one? We think the jury’s out on that one! Making that choice will have a lot to do with your vision, your budget and ultimately your expectations, but at the end of the day we want you to look back on your photographs with no regrets, with the knowledge that your most precious memories and your expectations was met by your final decision, whether it was to have one photographer or two. 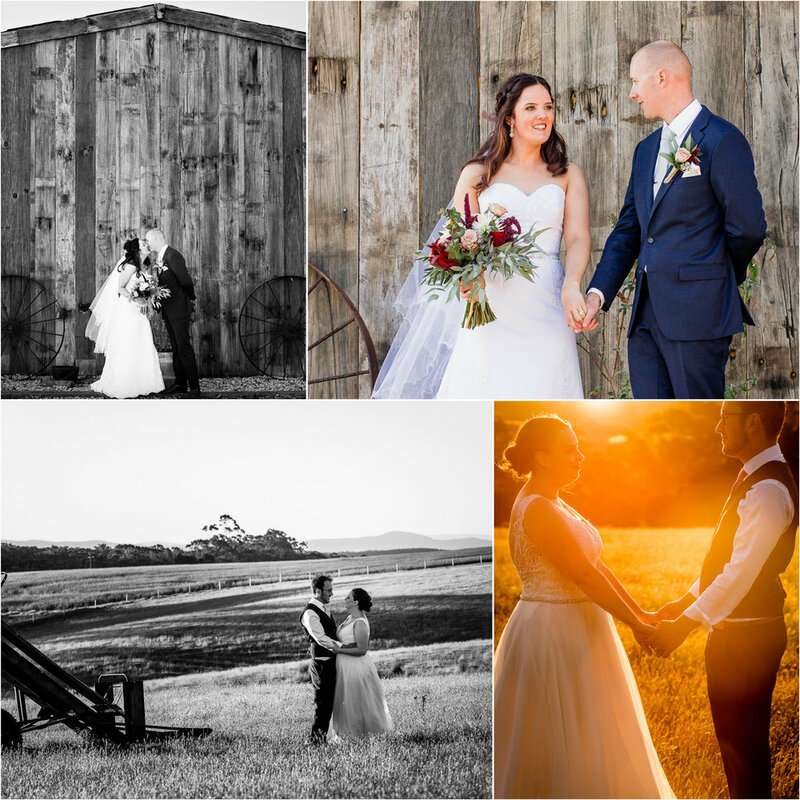 Journey By Light Photography are based in the beautiful Macedon Ranges and have been capturing love stories here and beyond since 2013. They believe every couples love story is unique and deserves nothing but the best.